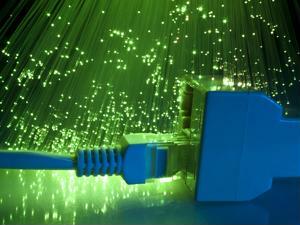 Home IT How is software-defined networking changing procurement? How is software-defined networking changing procurement? IT procurement is a complicated landscape. Those responsible for purchasing hardware and software need to be cognizant of the best options available, current and future asset demands and how technology will change as time progresses. Software-defined networking is one component of IT that is further complicating acquisition considerations. While often mistaken with network virtualization, the technology offers organizations several advantages. The Internet of Things and cloud services are increasing demand for better network manageability. Ensuring that thousands of hardware assets can transfer data efficiently used to require a lot of man hours and attention that was usually one step behind the needs of interconnected machines. Mike Shevenell, a contributor to CA technologies and software architect at Spectrum Infrastructure Manager Group, and Jason Normandin, CA Technologies' principal product manager, noted that SDN allows specialists to determine how networks behave. IT separates the control plane and the data plane. While the latter physically transports digital information among devices, the former dictates how data will be routed and forwarded. Thus, SDN provides professionals with the ability to manage the control plane either remotely or from a centralized environment. Next to nothing, if anything at all. According to Shevenell and Normandin, one of the most popular SDN protocols, OpenFlow, is an open-source "communication interface defined between the control and forwarding layers of an SDN architecture." Although it's not the only protocol enterprises can use to centrally manage their networks, the two experts noted that OpenFlow has "become synonymous" with SDN. It should be acknowledged that OpenFlow does not provide network abstraction, control and visibility. Rather, it supplies professionals with rules that allow users to sanction communications with SDN-compliant switches. Because OpenFlow is open-source, the application is free for download. Assertions that SDN will render network hardware obsolete are incorrect. As noted above, the data plane will always be necessary, whether it be comprised of Ethernet configurations, routers or other implementations. However, procurement management professionals used to have to acquire hardware based on the vendor that produced it. CRN contributor Joseph Kovar noted that, in the past, architectures could only run on one collection of systems, as Juniper creates different programming interfaces than Cisco, and so on. SDN disregards this factor by providing organizations with a single platform that can enable communications between devices produced by different vendors. In conclusion, this gives purchasing officers more flexibility, allowing them to select miscellaneous hardware based on quality.